ACM India is hosting a one-day Digital India event in conjunction with VLDB 2016 and Persistent Systems Ltd. We are very excited by the opportunities presented by the ambitious Digital India program launched by Hon. PM Narendra Modi. It is a grandeur vision of uniting a large nation like India via high-speed digital highways. 1.2 billion Indians will be connected together and will have access to open information. Data takes the center stage in this vision due to the sheer size of India’s population. With ~1 billion Aadhar cards, 200+ million Jan-Dhan Yojna accounts, the magnitude of India-scale data is humongous. Such large data processing will need specialized big data and analytics expertise. Digital India event aims to address these India-scale data problems and how technology can be instrumental in solving those. It will also facilitate an innovation showcase for Indian startups especially working in big data area. 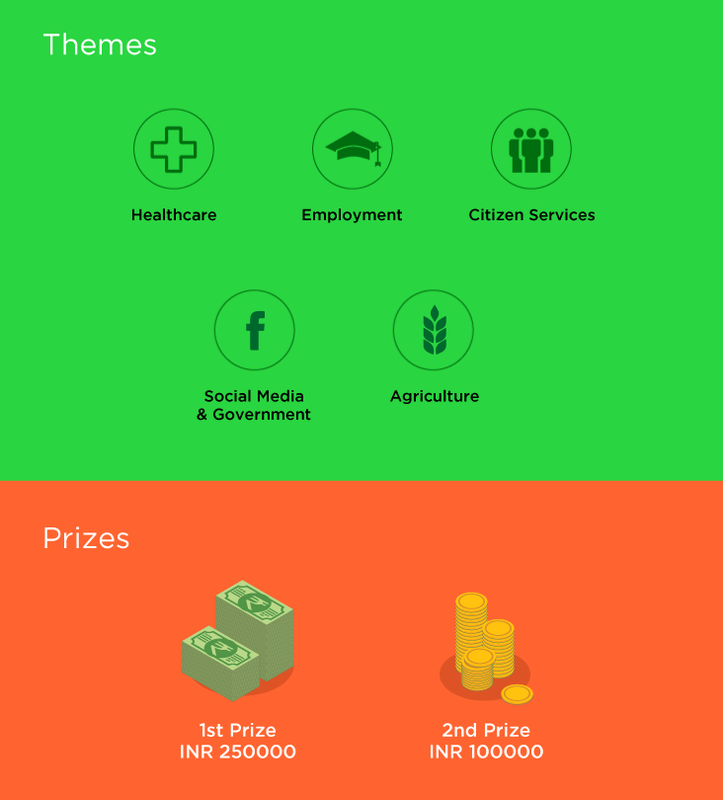 The concluding ceremony of Digital India Hackathon will happen on 5th September at Leela Hotel, Gurgaon and 2 winners will be announced along with special prizes on the same day. The shortlisted teams from online round will be called for final presentation/demonstration. Candidates can use innovative ideas along with data-driven solutions such as prediction systems, statistical analysis, and/or data visualization to develop Web/mobile applications, visualizations, recommendation engines for fellow citizens, proposals about common standards for data sets. They can also create their own datasets from open government data and process it over a cloud platform of their choice. Alternatively, they can scrape/pull data from data.gov.in to make it available for others. Let your imagination explore the use of data analytics to its visualization to create solutions for data-driven India. The solutions could range from reservations to payments solutions, ancillary offerings to crisis management, and more! We believe that healthcare innovation is fueled by diverse data and analysis. Data-driven health solutions aim at transforming healthcare segments by connecting healthcare data with developers, innovators, and entrepreneurs enabling them to build realistic, human-centric solutions for key healthcare problems. Create data-driven employment solutions that will allow citizens to plan and excel in their respective careers. You can also help to simplify the current process that is set for looking for jobs on government job portals. You may append statistical analytics and heat map-based solutions. Citizens can avail Government services (without visiting a government office) through the Internet with the help of various services. You can build services related to Passports, Aadhaar cards, PAN cards, railway reservations, police stations, water/waste management, and much more. Government agencies are increasingly using social media to engage with citizens, share information, and deliver services more quickly and effectively. You can use innovative ideas to create solutions that will help the government to connect more openly with its citizens. Help build a sustainable food system by providing publicly-available data to farmers, researchers, and consumers. You can source data from market reports, weather forecasts, surveys, and sensors that provide on-demand GPS monitoring and mapping tools.